BMW diesel engines will power the hard-core off-road Projekt Grenadier 4×4 when it debuts next year. The brainchild of the British chemical company head, Jim Ratcliffe, the project received a major boost yesterday with BMW confirming a “high-range, five-digit” order for its TwinPower turbocharged engines. The first production car from Ineos Automotive Ltd, the Projekt Grenadier is clearly and unashamedly derived from the classic Land Rover Defender shape and ethos and will be on sale in Europe in 2021. It plans to launch the Projekt Grenadier in a variety of wheelbases and body styles, with Ratcliffe insisting that Land Rover will be unable to fill the void it created by killing off the Defender before its replacement is ready. Ineos Automotive has set a production target of 25,000 cars a year as its break-even figure, even though Land Rover lost money on its venerable spiritual base at a similar sales rate. Fortunately for Ineos, at least one current UK production facility is about to become available, with Honda announcing recently that it would abandon its huge Swindon plant. BMW insisted the deal opened up new sales channels for it, along with extra growth potential. “Our company is famous for efficient high-performance engines that are among the best in the world,” BMW’s board member for Sales, Brand BMW and Aftersales, Pieter Nota, said. Britain’s richest man, Ratcliffe has admitted that Projekt Grenadier will be based around a steel ladder-frame chassis with aluminium panels and solid front and rear axles. Its off-road ability and durability will be boosted by permanent all-wheel drive, with the production engineering farmed out to Germany’s MBtech engineering consultancy. So far just one known prototype exists and it has been patrolling the Alps for more than six months, with MBtech’s 200 engineers joined by Ineos Automotive’s contribution of 50 more engineers joining them in the off-roader’s development. Far from a crossover or soft-roader, its brief is to be incredibly strong and durable off road, easy to repair in isolated conditions and Ratcliffe has insisted the car must be affordable. ”We want to build the world’s purest 4×4 and are aiming it at explorers, farmers and off-road enthusiasts across the globe,” said Ratcliffe. 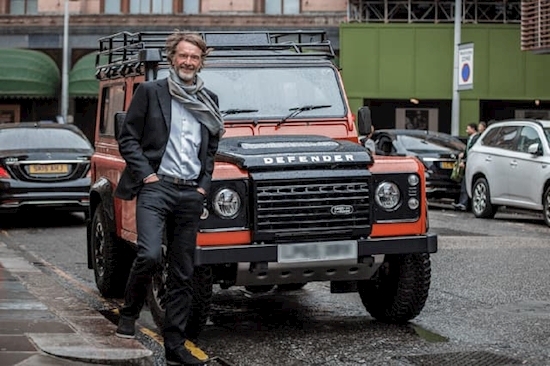 “I am a great admirer of the old Land Rover Defender and have enormous respect for its off road capability and our new 4×4 has been inspired by it. But whilst our off-roader might share its spirit, our new car will be a major improvement on previous models”.